We probably can all guess at who scored the most points in the 1980’s when it comes to the NHL. In fact, we can also probably guess who put up the most points in any decade as well. However, who has the second highest total in the 1980’s or the third highest decade total in NHL history? 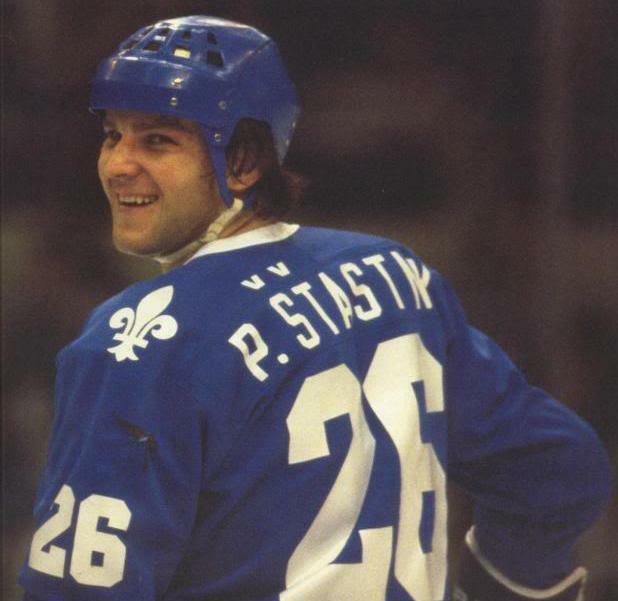 Well judging by today’s TTM topic I am sure you now know… Peter Stastny. I am a huge fan of Peter and not just because he was a NJ Devil. Peter took the league by storm as an undrafted defector in 1980. 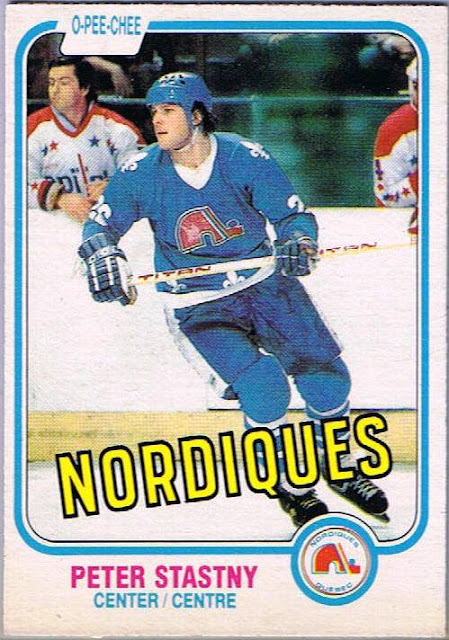 He set a rookie record with 109 points and when joined by his brothers Marian and Anton they helped make the Quebec Nordiques a strong team in the early and mid 80’s. 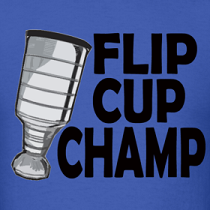 Unfortunately there were a few dynasties in the way of the Nordiques having Cup success during those years. This card guides in the 7.50 - 15 dollar range. The card I mailed away was the Topps variation and it looks nearly identical to the OPC. A nice and clean auto with his number 26 in blue sharpie. I have seen some autos include his HOF year, but he didn’t include it in this auto. This is an autograph I wanted for a very long time and he was kind enough to sign it and return it to me in less than 2 months. I mailed the Topps version because I wanted his auto on a rookie card and the Topps version only lists for about 4 bucks if he didn’t sign or it got lost I am not out too much money. One of the most important thing about autograph requesting through the mail is to never expect to see your card again. That way you are surprised when it arrives and you can live without it coming back. Personally I set a 10 buck limit, if the card is less than 10 bucks and I have extras or don’t mind losing it, I will mail it. He has the second most career points for a Slovak-born NHL'er. First is Stan Mikita. Stastny was the first ever player to represent three different countries at three different international tournaments. He represented Czechoslovakia at four World Championships, the 1976 Canada Cup, and the 1980 Olympics. He represented Canada at the 1984 Canada Cup, and then represented Slovakia at the 1994 Olympics and 1995 World Championships. Finished with a career 1.27 points per game average, but was a -12 for his career. Peter and his brother Anton each own the record for most points in a road game with 8 points scored. Which also means they have the NHL record for most points in a game by two brothers with 16 points. Well that is all for this week, here is hoping there is something arriving this week worth sharing next week! Well Czechoslovakia broke up and thus he played for Slovakia. Otherwise, having defected to Canada in the cold war era, he played 1 single Canada Cup for Canada, his adoptive home (he may have become a citizen by then). You would think his rookie card would be worth more. Stastny's back story is amazing as well. How he was smuggled out of Austria along with his pregnant wife and his brother Anton while the Czech team were playing a hockey tournament. 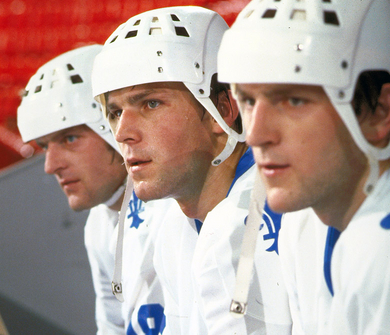 They were first players from the Eastern Bloc to defect to the NHL while still in their prime. I miss those Nords jerseys. Quebec better get a team back soon. Yeah, his rookie card certainly is undervalued when compared with other rookies from the same set. Some of the rookies in the OPC don't appear in the Topps set which might explain it a little, but I think he also doesn't have the same following as some of the former Oilers etc. It's crazy that cards over 30 years old aren't worth more. Stastny is a top class guy. He was born in Czechoslovakia, so represented them. Then got Canadian citizenship so represented them, and then Czechoslovakia split into the Czech Republic and Slovakia and he represented Slovakia. To add to the confusion, his son Paul, represents the United States! Let's see the Sedin brothers score 16 points combined in a game. That is just amazing.